J.H. 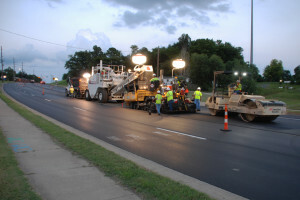 Rudolph and Co., Inc. announced today that 2013 asphalt paving projects on US 41 (Strip) and US 60 each won a Quality in Construction Award for excellence in construction of an asphalt pavement from the National Asphalt Pavement Association (NAPA). NAPA presented the award to J.H. Rudolph & Co., Inc. in Mid-February during the organization’s 59th Annual Meeting in Boca Raton, Florida. J.H. Rudolph & Co., Inc. won the awards for outstanding mill and overlay work on both projects. They were completed in October of 2013. J.H. 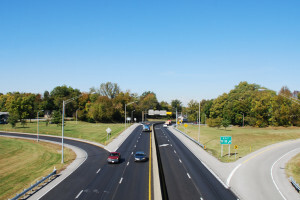 Rudolph & Co., Inc. and the Kentucky Transportation Cabinet, District 2, worked hand in hand to keep traffic interruptions to a minimum on both of these highly congested, commercially zoned areas. The Quality in Construction Award from NAPA recognizes exemplary asphalt pavements across the nation and defines excellence in asphalt pavement construction by requiring quality control and engineering data to determine award winners. Other significant factors used in judging include smoothness, rideability and public comment. You are currently browsing the J.H. Rudolph and Co., Inc. blog archives for April, 2014.